After very recently haven sold the company for a whopping $1 Billion to Yahoo!, Tumblr has left behind an internet legacy for Yahoo to take care of, but that’s an altogether different story. Tumblr was the brainchild of the college dropout David Karp. Although Tumblr didn’t manage to make much money in revenues apart from their investor funding, it did catch the attention of millions of users online. 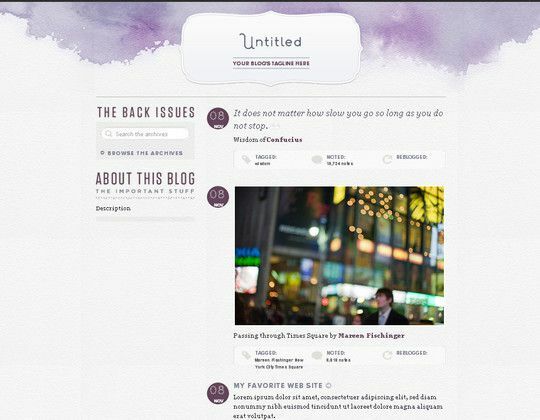 Tumblr themes are also now widely in demand, given their number of blogs and readers. So, basically, Tumblr is another simple blogging platform and has a wide user base and readers. At the time of writing, Tumblr has 124.8 million blogs, and it is one of the popular blogging platforms in U.S. 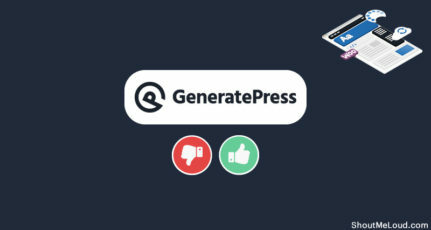 It may lack many features which we get on the self-hosted blog, but still, it has an interesting demographic and user base. So it makes sense that your tumblr blog should look and feel good in the eyes of your readers. 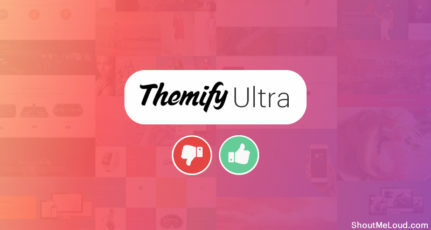 There are many premium themes out there for Tumblr blogs, but what if you get the best for free? Here I’m sharing some of the best free Tumblr themes, which gives you the look and feel of paid tumblr themes. I’m sharing only 10 such themes here, and if you happened to know more free once, do share it via comments. 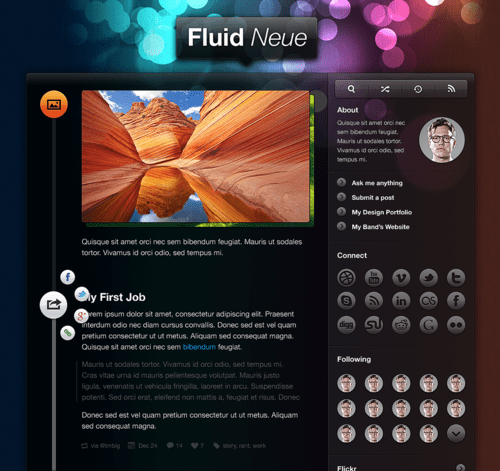 With over a million installs, it is Tumblr’s most popular theme. Fluid Neue features totally rebuilt audio and photo-set mechanics, upgraded framing, and shadows, integrated Twitter, Instagram and Flickr feeds, and the slickest share widget ever made. One of the best FREE tumblr theme and the one I would recommend very first to anyone looking for a free tumblr theme. 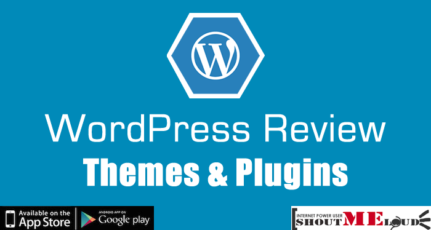 The theme features slick sharing feature on its side that adds the grace to your blog. Watercolor is a simple yet elegant subtle Tumblr theme. This is a no-nonsense theme with watercolor pastels and clean and beautiful layout. Watercolor is an ideal free tumblr theme for anyone feeling creative and yet keeping things simple. A good theme with more whites and clean typography. Are you fed up of the plain white spaces around your great content? Color Shades is the right fit for you. Color Shades even offers you to change the color scheme with a floating widget at the top right corner. 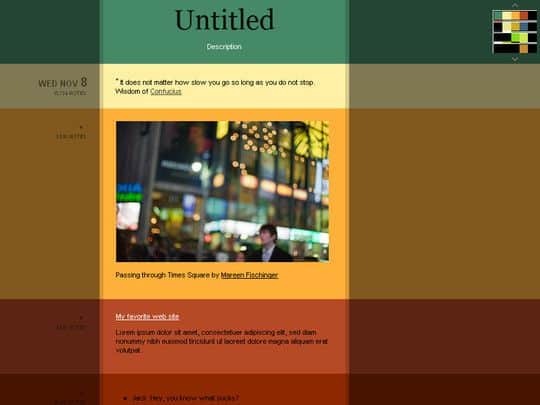 This is a unique free Tumblr theme that makes your blog stand out without spending a dime. Plaid is another free tumblr theme that is for those who don’t like many white spaces. The theme features a tablecloth like a layout in the backdrop that gives it a much Hippy feel and looks. 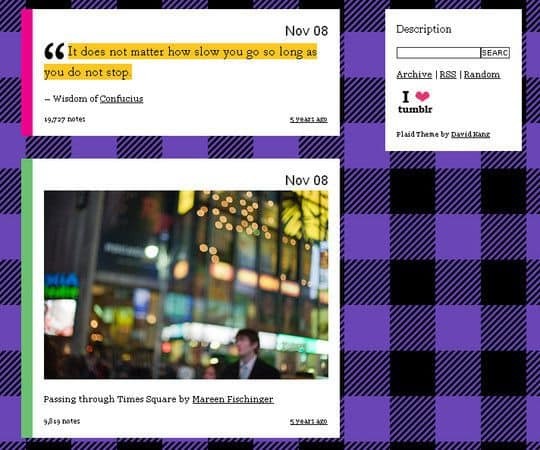 Bring out the hipster in you with the Plaid tumblr theme. TumbleDesk is a great cool free Tumblr theme. The backdrop, as it can be seen pictures a clean work desk with all the needed elements and yet makes the look and feel at the best. The theme also features a clean typography and it would add more spice to your tumblr blog. 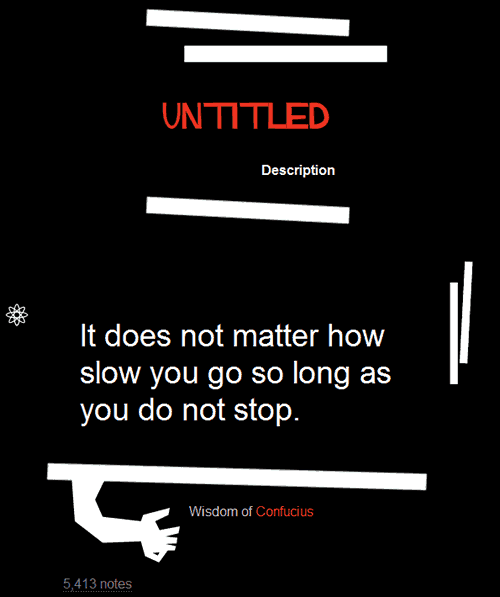 Vertigo is a quirky, fun, single-column theme inspired by the work of Saul Bass, Art Goodman, and Dave Nagata. This theme has its inspiration drawn from the poster of the classic Vertigo film by Alfred Hitchcock. It’s free, and has one main configuration option: a single accent color used throughout for title, link, and graphic treatments. 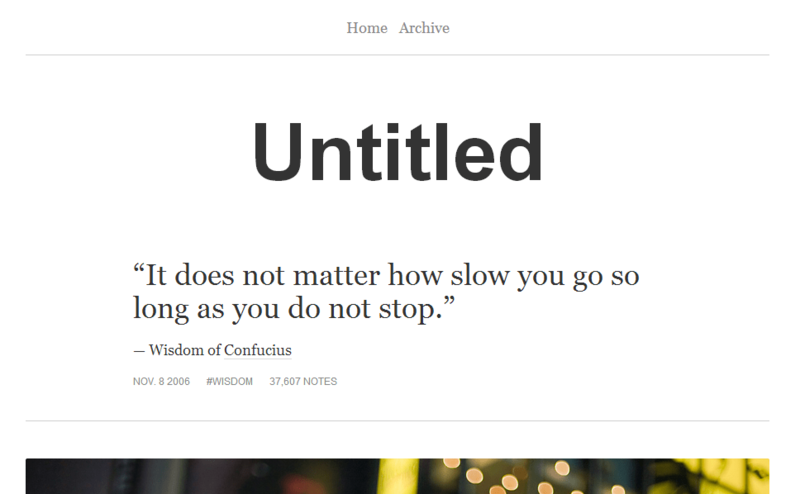 Ultralite is one of the most minimalist Tumblr theme around, with simple white background and subtle fonts. This theme’s typography complements such clean designs very well. One of the best tumblr themes with flowers, leaves and grasses sprawling out of your posts, giving it a very natural and green feel. Go green and get your blog a fresh feel. 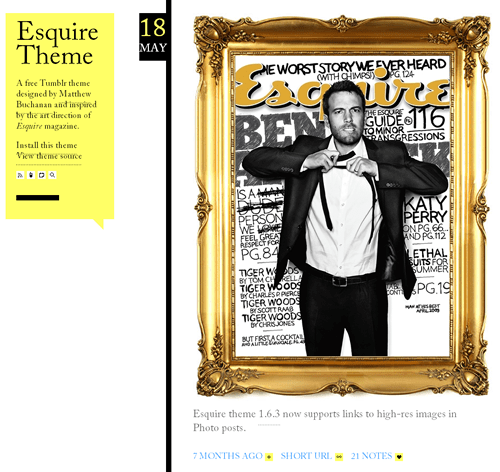 A clean and simple free Tumblr theme directly inspired by the Esquire magazine. 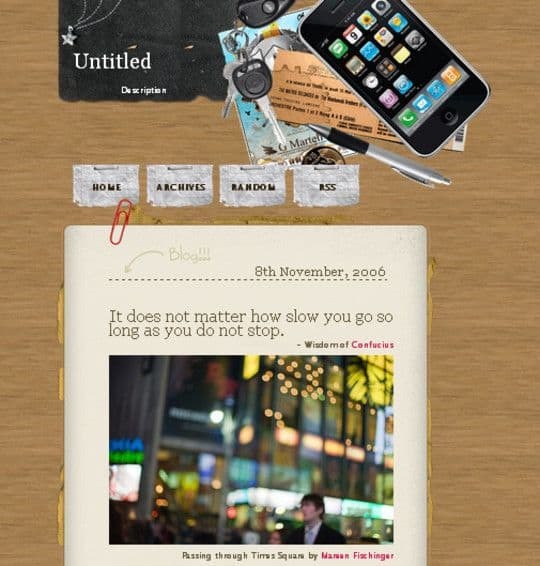 Esquire is colorful, more typography focused Tumblr theme inspired by the design of Esquire magazine. There are several configuration options, including the option to select the three accent colors used throughout the theme. Observer is designed to focus attention on your photos, text, and music. 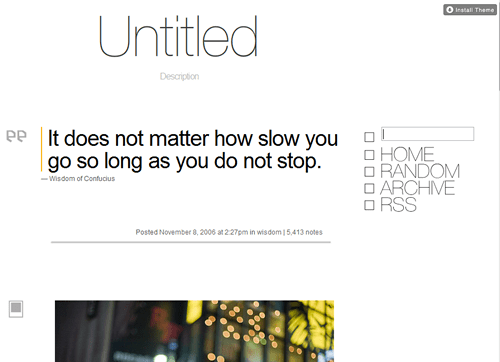 Observer is another great looking Minimalist Tumblr theme that focuses much on the typography, images, and videos. A responsive layout, two headers and lots of customizations, you can’t ask for more! 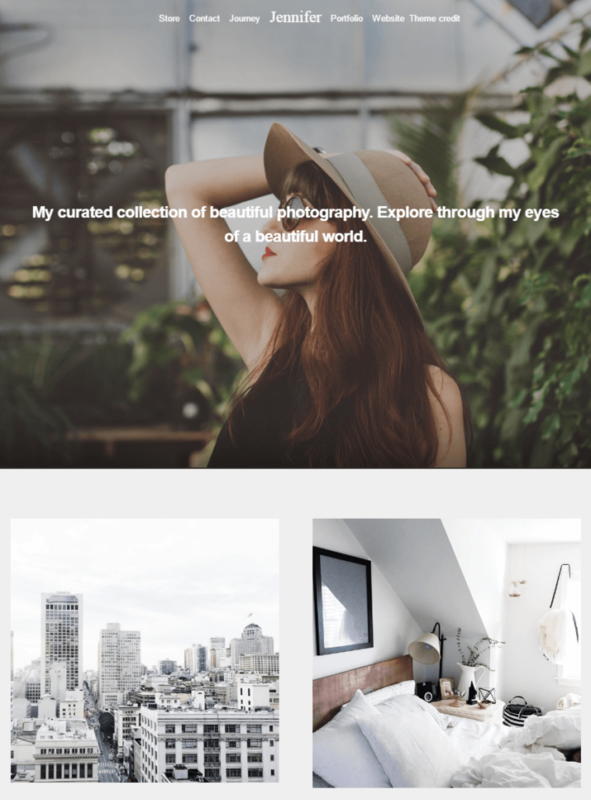 Basic is a simple starter theme to get your tumblr blog up and running in seconds. The theme is completely responsive and looks pixel perfect on all mobile devices. 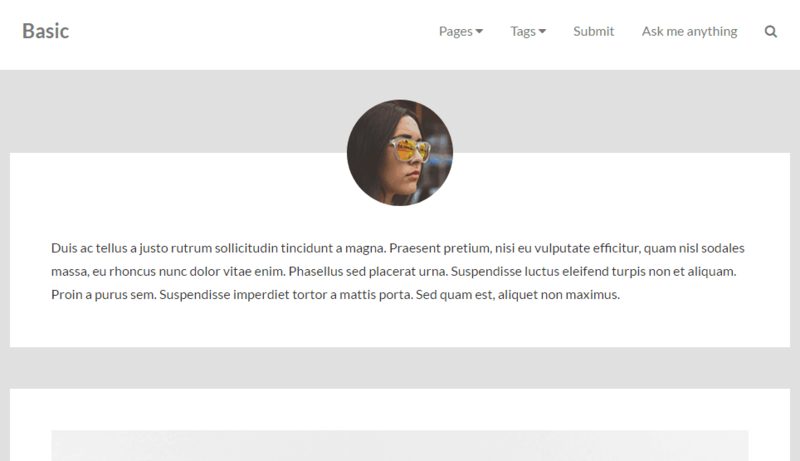 Persona is a full width tumblr theme, designed for your personal or business blog. The theme is easy to customize with minimized options and features. With 30+ different font options, five header images, social media icons, Persona is a perfect option to start your blog. So which one of these tumblr templates you liked the most? 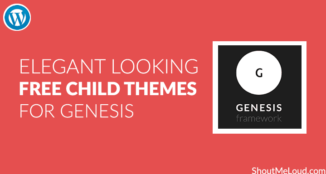 Also, if you know of other good themes for tumblr, do share it via comments. Don’t forget to blog about this post on your tumblr blog and share it on Google plus and Pinterest. 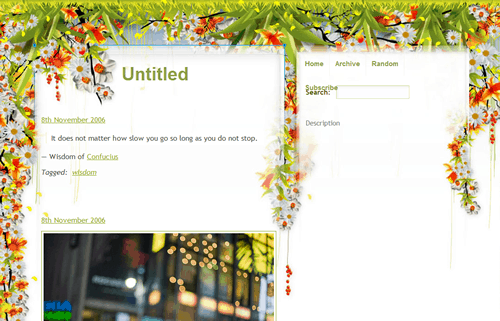 I love the tubledesk theme and gonna add on my tumbler blog. Yes Arup, the tumbledesk theme is indeed a very good tumblr theme! You are welcome Murtaza. The stats show that still millions of people use tumblr as their blogging platform and looks sure do matter! Nice post with awesome themes. Super collections, thanks for sharing. Keep it up. 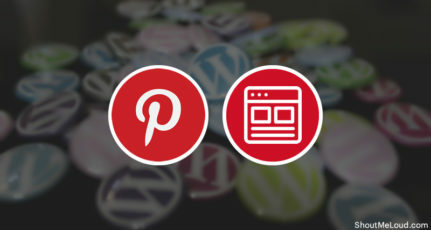 I need your reply, which is the best one for website creation WordPress or Tumblr? It actually depends on what you need, Vinay. 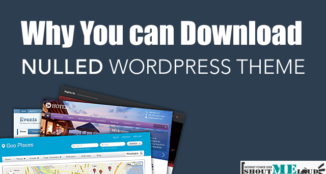 WordPress would be much better for blogs that would need a deeper functionality as it is very extensible given its big repositories and developers. Tumblr would be better for a blog with simple and not requiring too much features and functionalities. Hope that answers your question. Freemium is always appreciated. Thanks for these awesome Tumblr Themes bro. I am using TumblrDesk on my Tumblr blogs. Yes, I got what i am searching for Plaid Love this theme. thanks Srikanth AN, Keep Sharing themes like this. But these days tumblr is restricted can you tell me why?